Ugne and Alexandra appear as part of the Countess of Munster Musical Trust Recital Scheme. Taught by her mother, Ugne began her studies at the age of six on the violin. At the age of sixteen she got fascinated by the deep, rich sound of viola which convinced her to pursue and discover all the secrets of this underestimated instrument where she went to study at the National M.K. Ciurlionis School of Arts in Vilnius. In 2009 Ugne moved to London where she successfully continued her career. She has received numerous major awards such as The Countess of Munster Musical Trust awards, Leverhulme Foundation award, Solti foundation award, Marylebone Educational Trust award and was invited to take part in Encuentro de Musica y Academia de Santander and International Menuhin Festival Gstaad Strings Academy. Ugne has taken part in various masterclasses given by distinguished soloists including Nobuko Imai, Wolfram Christ, Hartmut Rohde, Jerzy Cosmala, Avri Levitan, Ettore Causa, Helen Callus and others. She is a prize-winner of many international competitions such as August Dombrovski Competition in Riga, „Pavasario Sonata“ in Vilnius, Francesco Geminiani Competition in Verona, Raimundas Katilius Competition in Lithuania and others. Ugne is a versatile musician – as well as actively performing solo and chamber music, she is also a member of EUYO, Canorum Trio and Royal Academy Sainsbury Soloists Ensemble. In addition, Ugne has been awarded the International LRAM teaching certificate by the Royal Academy of Music, which demonstrates her passion for teaching. Ugne is currently playing the Salomon viola made in 1780, which has been kindly loaned by the Royal Academy of Music in London. Romanian-born pianist Alexandra Vaduva started playing the piano at the age of 4 with the teacher Doina Olteteanu. Since then she has won numerous national and international piano competitions, such as First Prize at the “Vienna International Piano Competition”, Third Prize at the “Beethoven Piano Competition” , Second Prize at the “Sterndale Bennett Piano Competition” , Fourth Prize at the “Else Cross Modern Piano Competition”, First prizes at the “Pro Piano” and “Carl Filtsch” International Piano Competitions, Fifth Prize at the “Delia Steinberg” International Piano Competition. Her competitional activity is harmoniously blended with a busy concert schedule. Alexandra has recently performed Stravinsky’s Piano Concerto with the Royal Academy of Music Wind Orchestra conducted by Keith Bragg and the „Petrushka“ ballet suite conducted by Thierry Fischer. She has performed and recorded the Variations for Vibraphones, 2 pianos and string quartets by Steve Reich and played the sonata for two pianos and percussion by Bartok at Kings place in June 2014. 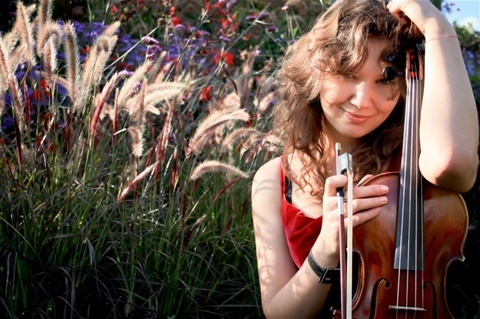 She is the recipient of numerous scholarships, amongst which the Help Musicians UK Fund, the Alexander Kelly bursary (Royal Academy of Music), the SONORO Festival chamber music scholarship, the Santander Summer Academy and the SOLTI Foundations.